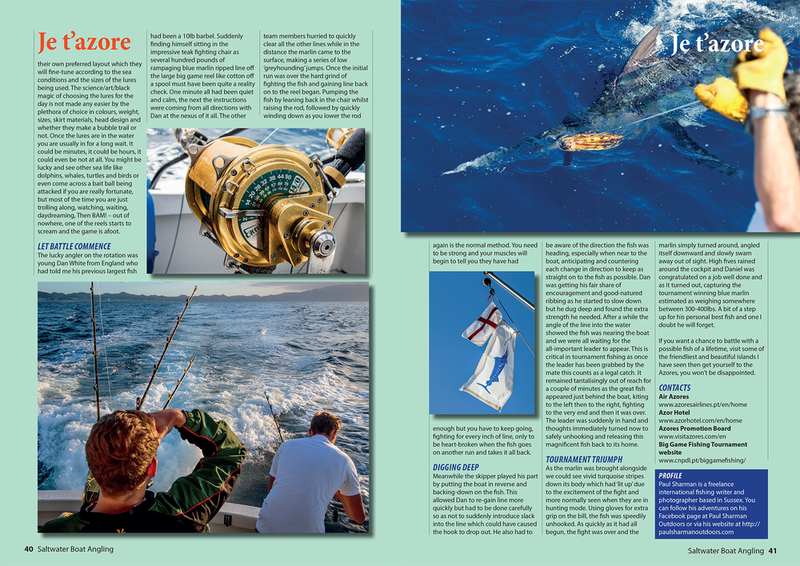 My first article for Saltwater Boat Angling magazine which launched earlier this year, featured in their December 2016 issue and was my report on the 2016 Azores Big Game Fishing Tournament, held in September in Ponta Delgada on the beautiful island of São Miguel. Please click on the images below to display larger versions! This was my 2nd time in the Azores and at the tournament and I am quickly falling in love with the islands and can't wait to get back for another visit to explore some more.